Fracking is a novel but contested energy technology - so what makes some countries embrace it whilst others reject it? This book argues that the reason for policy divergence lies in procedures and processes, stakeholder inclusion and whether a strong narrative underpins governmental policies. 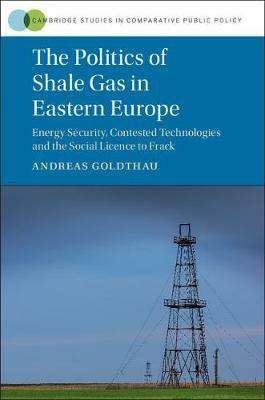 Based on a large set of primary data gathered in Poland, Bulgaria and Romania, it explores shale gas policies in Central Eastern Europe (a region strongly dependent on Russian gas imports) to unveil the importance of policy regimes for creating a 'social license' for fracking. Its findings suggest that technology transfer does not happen in a vacuum but is subject to close mutual interaction with political, economic and social forces; and that national energy policy is not a matter of 'objective' policy imperatives, such as Russian import dependence, but a function of complex domestic dynamics pertaining to institutional procedures and processes, and winners and losers.